An “Odds and Ends” recycling event will be held Saturday, July 16 from 8 a.m. to noon at 72 Tremont Street. This event is supported by Whole Foods Market Melrose. For more information about this event, call Melrose DPW at 781-665-0142 or email recycle@cityofmelrose.org. 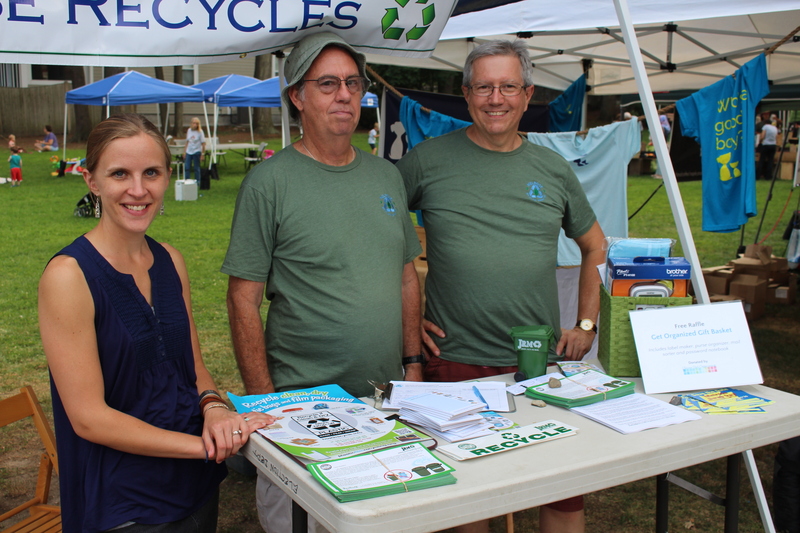 Recycling at Healthy Melrose Fair – May 2016. Healthy Melrose Fair at the Melrose High School Athletic Complex (360 Lynn Fells Parkway) Saturday, May 7 ,2006 The Melrose Recycling Committee provided ‘insights into healthy, sustainable living’. The Recycling booth had a compost demonstration. Bring any papers you want disposed of securely to the Melrose DPW yard Saturday morning to have shredded. from 8:00a.m.-12:00p.m at 72 Tremont Street – DPW yard. ReFoamIt will collect the Styrofoam and transport it to their facility in Leominster, MA where it will be placed in a machine and made into blocks to be recycled. Visithttp://www.refoamit.com to see what types of Styrofoam can and cannot be recycled. Melrose is holding this event because Styrofoam cannot be placed in curbside recycling and therefore needs to be recycled separately. When burned, Styrofoam creates a toxic ash and when placed in landfills, it never breaks down. This is a free event and open to Melrose residents only. Martin L. King Day of Service Monday January 18, 2105 Clean up was postponed to April due to snow. Stay tuned. Saturday, November 21,2015 from 8 a.m.-12 p.m., you can drop off rigid plastic. Saturday, October 24th, the City of Melrose held its annual Household Hazardous Waste Collection Day at the DPW Recycling Center, 72 Tremont Street. Since the improper disposal of hazardous waste is dangerous for Department of Public Works employees and bad for the environment, we encourage you to take advantage of this important event. NOTE: Latex paint will NOT be accepted. Dried-up latex paint can be disposed of Monday through Friday, 7:30 a.m. -3 p.m., at the Public Works Operations Facility. To safely transport these items, leave the materials in their original containers. Make sure to tighten caps and lids. Oil paint, pesticides and household cleaners should be sorted and packed separately. It’s also a good idea to pack containers in sturdy upright boxes and pad with newspaper. Drive directly to the collection site as soon as the car is packed. Never mix chemicals or smoke while handling hazardous material. Please do not throw these items in the trash. To properly dispose of them, call a private disposal company. Melrose Recycling Committee hosted the 3rd annual Swap Day Saturday Sept. 26 8:00 am to 12 pm in the City Hall /Memorial parking lot. 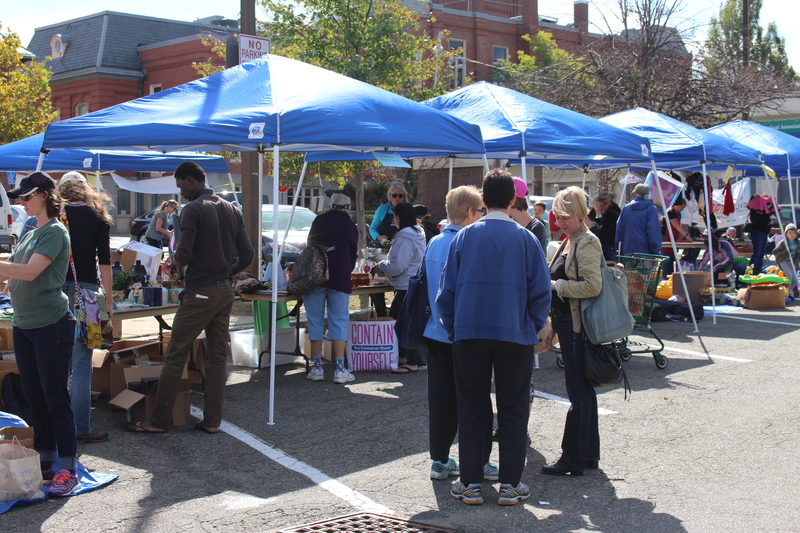 The weather cooperated and Swap Day was a successful event. See the Photo page for snapshots of the day. “Bag Man” at the Farmers Market! 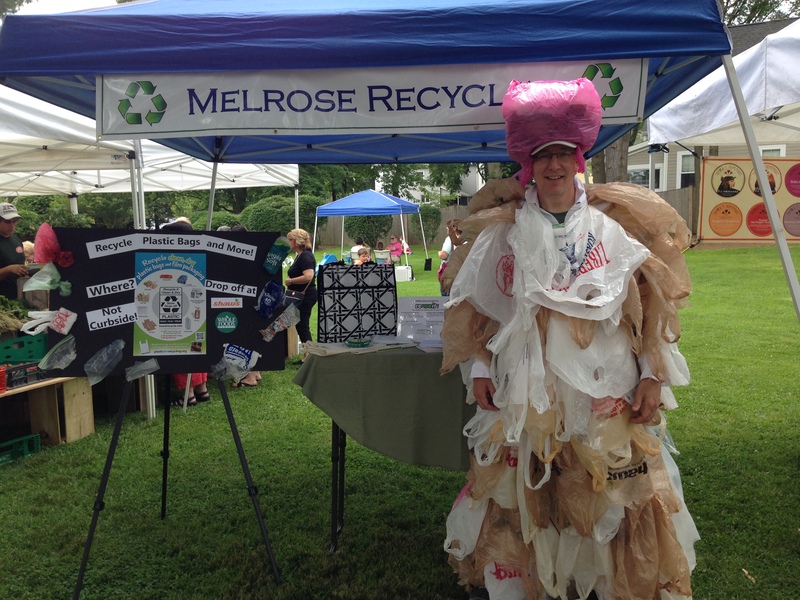 Farmers Market June 2015: Sean, our very own “Bag Man” educates residents about recycling plastic bags & film! 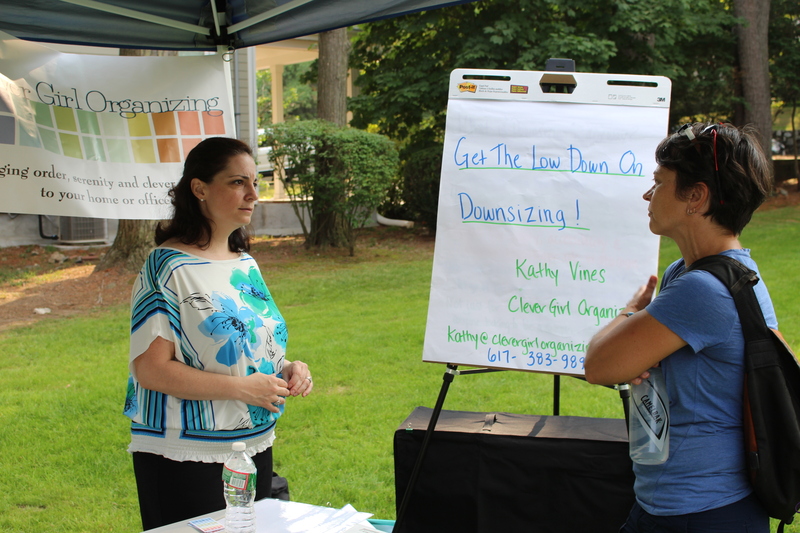 The Second Annual Swap Day on September 27, 2014 was a huge success. It was run by the Melrose Department of Public Works and the Melrose Recycling Committee in partnership with Birth to Five and the Friends of the Library. Swap Day is a community reuse event which provides an opportunity to save reusable items from the trash and give them a new life and a new home. Some of the items swapped included: clothes, shoes, books, sports equipment, household items, kitchen supplies and much more. All items not swapped were donated to Goodwill and other charitable organizations. Go to our photo gallery to see pictures from the event. 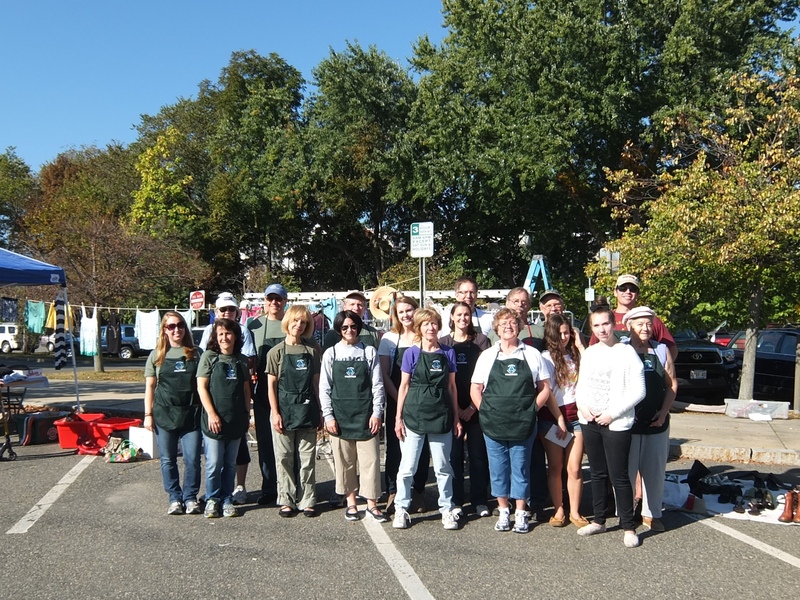 If you’d like to volunteer at the 3rd Annual Swap Day let us know!